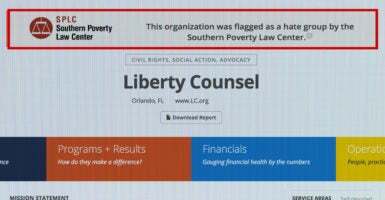 Liberty Counsel is taking GuideStar to court after the top source of information on charities and other nonprofits flagged it and other well-known, broadly supported conservative nonprofits as hate groups. “We want to stop the lies because this kind of reporting is defamatory, it’s reckless, and it’s dangerous,” Mat Staver, founder and chairman of Liberty Counsel, told The Daily Signal in an interview. Liberty Counsel, which announced the federal lawsuit Wednesday, was among 46 organizations flagged as hate groups by GuideStar, which calls itself a neutral aggregator of tax data on nonprofits. GuideStar applied the flag to groups rated as such by the leftist Southern Poverty Law Center, which many conservatives and liberals alike say has forsaken its roots as an organization that fought the Ku Klux Klan and become a virulent opponent of conservative causes. In a June 21 letter to GuideStar CEO Jacob Harold, the conservative leaders protested use of the “hate group” labels and asked him to remove them. A week later, Liberty Counsel filed suit against GuideStar in U.S. District Court for the Eastern District of Virginia in Newport News. So the damage has already been done. They should have thought long and hard and done their own homework and investigation regarding the Southern Poverty Law Center before they put this out on their website. So they will be held accountable, and we intend to hold GuideStar accountable and anyone else who begins to do these kinds of things. This is not a game and we are not going to tolerate it any more. 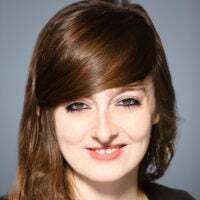 Liberty Counsel seeks “a permanent injunction prohibiting GuideStar from publishing the false and defamatory ‘hate group’ label, damages, and attorney’s fees and costs,” a Liberty Counsel spokeswoman said. The Daily Signal sought comment from GuideStar, but did not receive a response by deadline Thursday. William G. “Jerry” Boykin, a retired Army general who is executive vice president of the Family Research Council, also listed as a “hate group” by GuideStar, said he is hopeful that Liberty Counsel’s lawsuit will send a clear message. I think at the end of the day, even though GuideStar has taken these labels off, you have to ask the question, why? Why did they use data from an organization as connected in federal court to domestic terrorism? And there’s only one reasonable answer, and that is because they are also becoming an arm of the extremest left, just like the Southern Poverty Law Center. Staver said Harold, as CEO, has been behind the politicization of GuideStar, which was established in 1994. Prior to joining GuideStar in 2012, Harold worked for the Hewlett Foundation’s philanthropy program and as a “climate change campaigner” for Rainforest Action Network and Greenpeace USA. GuideStar’s actions are inconsistent with its self-described neutral stance in providing information to the public about nonprofits, Staver told The Daily Signal. “When GuideStar says on the one hand that it provides neutral information, but on the other hand has become a political partner of the SPLC to falsely label nonprofit organizations, they have to be held accountable … for this reckless activity,” Staver said. Liberty Counsel’s leader also told The Daily Signal that the language and actions of GuideStar and the Southern Poverty Law Center have consequences. “It is dangerous to label organizations as hate groups when they’re not hate groups, because we know that there are people who have used that information to commit acts of violence, including attacks of mass murder,” Staver said. Floyd Corkins, the man convicted of a 2012 attempt to kill employees at the Washington headquarters of the Family Research Council, told the FBI he was inspired by the Southern Poverty Law Center’s description of the Christian, pro-family research organization as a hate group. More recently, Staver noted, James T. Hodgkinson, who police say tried to gun down Republican lawmakers June 14, had liked the Southern Poverty Law Center on Facebook. House Majority Whip Steve Scalise, R-La., was gravely wounded in the attack during the lawmakers’ practice for a congressional baseball game just outside Washington in Alexandria, Virginia.